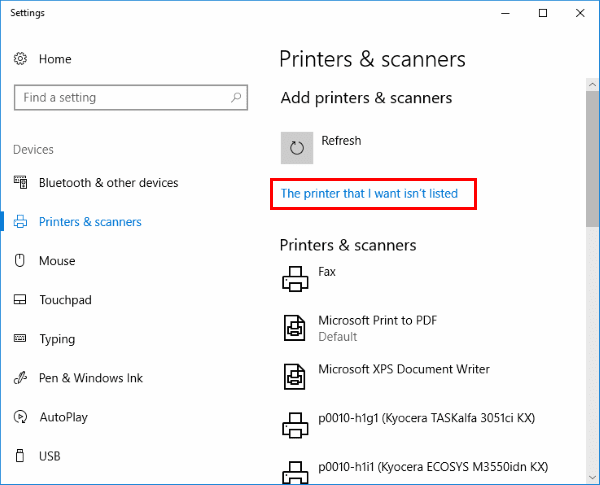 Learn how to install a printer in Microsoft Windows 10 using an IP address using this step-by-step tutorial. Select “Start” and type “printers” in the search box. Select “Add a printer or scanner“. Wait for the “The printer that I want isn’t listed” option to appear, then select it. 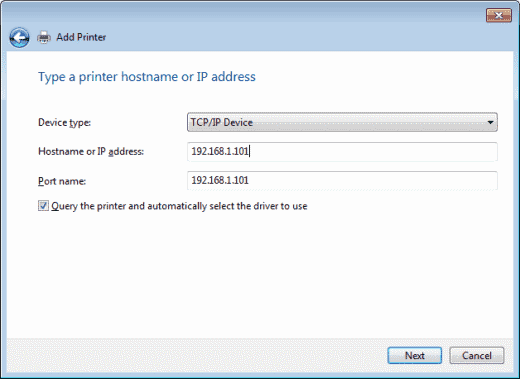 Select “Add a printer using a TCP/IP address or hostname” , then select “Next“. Select “TCP/IP Device” in the “Device type” list. Type the hostname or the IP address of the printer. Select “Next“. Windows should find the printer if the printer is on and configured correctly. You may have to specify more information. If prompted, Select the type of network adapter installed in the printer in the “Device Type” drop-down list. You can also click “Custom” to specify custom settings for the network printer. Select “Next“. Windows will now walk you through installing the drivers for the printer. After that is complete, you should be able to print to the printer via direct IP address. How do I find the IP Address for my printer? Visit our post about how to find the IP address. Before selecting “The printer that I want isn’t listed” option, go further down the page and enable the “Download over metered connection” option. That way the printer driver can install properly. That’s for those of us that chose a “metered connection” for our Wi-Fi network, to avoid the Windows 10 upgrade slowdown. Wow. Just, wow. I set up and configured 2 desktops running Linux Mint 19 that *found* the network printer, installed the drivers and printed a test page in under a minute. Now, this silly HP tablet-y thing is asking me what sort of network card is in it. You would think that it would look into its own internals to find that out. Windows has NOT improved, AT ALL. Same old run-around. What do you do if the “The printer that I want isn’t listed” doesn’t do anything? Thank you. I had to assign new IP address on my machine to our shared printer. I followed your screenshots and it worked for me.